So Christmas Day is over. You have unwrapped the last of your presents. You are manfully ploughing through the remains of the turkey, if you haven’t already consigned them to the freezer. You have been for the Boxing Day walk and seen your favourite Yuletide film. Some of the family have already gone back, and you may have even begun on the housework. You are really trying hard not to think about it, but you are conscious the New Year is around the corner. Soon you will be packing away the decorations, sorting out which cards and newsletters to keep, and gradually returning to the everyday routine. And there’s a danger that when we hear a familiar reading like the one from Luke’s gospel, we too tend to treat it as just part of the Christmas celebrations, a passage we unwrap once a year, enjoy and then parcel up again for the next twelve months. But of course that was never Luke’s intention when he wrote this gospel. After all, in those days there were no Christmas celebrations. The first recorded Christmas on 25th December was in 336AD, once the Roman emperor Constantine embraced the faith. And if the early church celebrated the birth of Jesus at all, it was on the feast of the Epiphany, 6th January, from about the third century onwards. As we saw when we began our study of Luke at the beginning of Advent the object of his gospel was to help his friend Theophilus know the certainty of the things you have been taught. Luke’s aim in telling the Christmas story is to show that the coming of Jesus is real, is relevant and should make a practical difference to our lives every single day. That’s why I showed this video just now, to make connections between the story of Jesus’ birth in Bethlehem and life there today. So how should the passage we read just now continue to impact us as we look forward to the New Year? Let’s step back for a moment from all those details that we know and love so well, and consider the bigger picture. We have here an account of an angel appearing to some shepherds with good news of great joy that will be for all the people. The shepherds decide to investigate. They go down to the town of Bethlehem and find the baby lying in a manger. And, as we heard, they return glorifying and praising God for all the things they had heard and seen, which were just as they had been told (Luke 2:20). Now I expect that many, if not all, of us here can point to a time or a season in our lives when in some way or other God revealed Himself to us. It probably was not as dramatic as the visitation of the angels. God may have shown Himself through some momentous event such as the birth of a child, or a time of great testing. Or He may have shown Himself through the words a friend spoke to us, or the pages of the Bible we were reading. However it happened, God showed Himself to us. We decided to respond to God’s love and, as they sometimes say, we found Jesus (although the truth of the matter is, it’s really Jesus who finds us and not the other way round). And like the shepherds, although we may have returned to the same old familiar situation, our lives, to a greater or lesser degree were changed by that encounter. Sadly though the majority of people we know have not yet had this encounter with Christ. Quite a few of them will claim that God has never appeared to them, even though it may simply be they have never recognised His coming. They seem to have no desire to respond to whatever understanding of God they do possess and they are a very long way from finding Jesus. So what is to be done? Well, the whole point of Christmas is that it’s about God taking on very real and very human flesh. When Mary says “yes” to the angel who visits her, Jesus is physically conceived in her womb, and she becomes nothing less than the bearer of the Son of God. But there is a real sense in which not only Mary becomes the bearer of good news. Because, once Jesus is born, how does the news of His miraculous birth begin to spread? Well, as we see from our passage, through ordinary human beings who visit Jesus and who, like the shepherds, go out bearing the same good news in their hearts. So it’s not just that Jesus takes on frail human flesh as a baby; it’s also that the message of His coming is entrusted to frail human beings to spread both by word and by deed. And that’s something most of us know from our own experience. I have listened to many testimonies over the years, a few of them utterly remarkable, but most of them not that exceptional. Yet virtually all of them have this one thing in common, that somewhere along the process of becoming a Christian, there was at least one significant person who said or did something that helped the individual in question to come to a living faith. That person who already believed was quite literally bearing Jesus in their hearts, and bringing others to new spiritual birth. So I hope you can see by now what is the ongoing significance of the shepherds’ story throughout the year. As believers we are called to bear the good news of Jesus to others, in two different but equally important ways. First of all, in our life together as the church. We often talk about being the body of Christ almost as piece of jargon, without perhaps thinking really what it really means. Being the body of Christ means quite literally being the presence of Jesus whenever we meet. That may sound obvious but as we go forward into the New Year I know there will be all kinds of concerns and pressures which may well distract us from our primary calling to embody Jesus. So whatever else we may want to do as a church, we must keep coming back to the wonder and mystery of Jesus’ coming among us here on earth, not only when we celebrate Christmas but throughout the year. Like the shepherds we need to make sure that what we do when we worship is to praise God and glorify Jesus. Because unless we do so, the chances are, that other things will become more important – like our finances, perhaps, or the state of the building or our latest mission initiative. We need to keep our focus on Jesus and Jesus alone, because it is only in that way we will fulfil our calling to be His body and so make His love a reality to those we seek to reach. And secondly, we need to bear the good news in our own daily lives as we seek to live for Jesus at work, at home, or wherever we might be. But please note this, if any one of us is to be an effective disciple of Jesus Christ, we can only do this because we have the support and encouragement of the whole body of Christ behind us. You see, I don’t think it is an accident that the angels appeared to a group of shepherds, rather than a single individual. No doubt once they returned to their sheep they lived their own lives to a certain extent, but from that point on, they were bound to one another by that common experience of encountering Jesus. And that’s how it should also be with us. One of the biggest mistakes the church in this country made in the last century was to promote the idea that somehow you could live out your Christian life without necessarily belonging to a church. As Paul says in 1 Cor 12:27 – a verse I keep returning to again and again – Now you are the body of Christ, and each one of you is a part of it. That is something which is true whether you are meeting with your brothers or sisters on a Sunday or when you are alone on a Monday morning. We bear the good news of Jesus Christ individually and together. So when you hear me talking about the importance of belonging to the body of Christ, it’s not just because it greatly encourages me as a vicar if you attend regularly! It’s because you need the sustenance of worship, fellowship and mutual prayer if you too are going to bear the good news of Jesus Christ in your own daily life. And one last thing. This call to bear the good news of Jesus Christ may sound like a call to do more, become more busy, get more involved, and certainly there may be ways in which you may be called to new ways of serving. But if we are to bear Jesus Christ in our hearts, we also have to find time to spend time simply being with Jesus, listening to Him, making Him a priority amidst all the other demands we face each day. So let me finish by drawing your attention to verse 19. In one sense it’s an intrusion into the story. Luke could so easily have gone from verse 18 to verse 20, and kept focusing on the shepherds. The story would have lost none of its flow. Instead, however, he adds this little detail: But Mary treasured up all these things and pondered them in her heart. Now I don’t know what plans you have for the rest of the Christmas holiday. But before you get bored with the same programs on TV, or you get fed up with eating turkey, why not consciously spend some quality time with Jesus? Take a spare few minutes, say, to read through the whole of the Christmas story or even the whole gospel of Luke. Listen to some Christian music while you’re doing the washing up, or turn every audio device off and be prepared to listen to God’s still, small voice. However God communicates with you, just give Him the opportunity to speak to you, and treasure whatever He says to you. 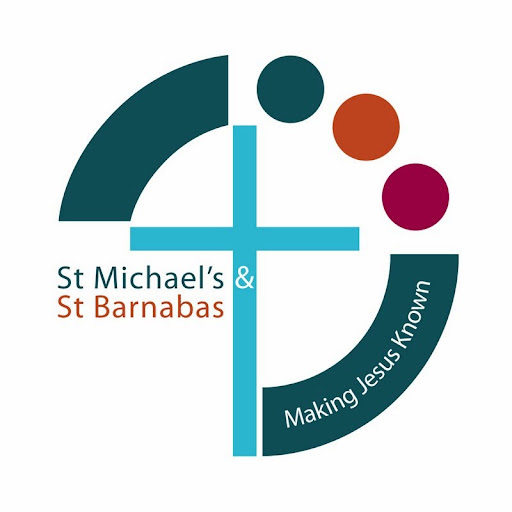 So that when the holidays are over, you too will be ready to bear the good news of Jesus Christ in your heart, as part of His body here at St Michael’s and St Barnabas and in your daily lives. With the result that through you, in all your weakness and frailty, there may be many others glorifying and praising God for all the things they had heard and seen, which were just as they had been told. This entry was posted on Wednesday, December 31st, 2014 at 1:38 pm and is filed under Christmas 2014, Luke. You can follow any responses to this entry through the RSS 2.0 feed. Responses are currently closed, but you can trackback from your own site.